Only a few Components can be ordered via the Webshop. You can also find related product information. If you have questions, or want to place an order featuring Components, then please contact WILA. KeMes stands for a completely new method of angle measurement and was primarily designed for users of press brakes to allow angle deviations to be directly detected during the production process. 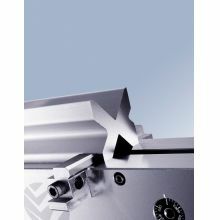 Not only does the KeMes laser protractor simplify angle inspection directly at the press brake but also the manual quality control of sheet metal angles. More information about KeMes (manuals, firmware updates and frequently asked questions) can be found on our Website. Makes the crowning suitable for 4-ways dies with block size 2 ¾”, 3 ¼”, 3 ¾”, 4 ¼”. One set includes 8 clamps. 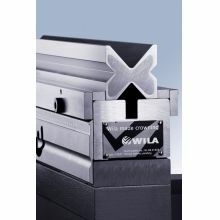 Makes the crowning with Manual Clamping suitable for European Style bottom tools with a width of 60mm. One set includes one bar of D1/D2.